The Vegas Golden Knights continue to lock up their pending free agents, this time issuing a two-year extension to Jon Merrill. The deal will pay Merrill $1.375MM per season, and take him to unrestricted free agency after the 2019-20 season. He becomes the fourth such extension handed out by the Golden Knights this season, after Jonathan Marchessault, Brayden McNabb and Deryk Engelland. Merrill, 25, was the expansion selection from the New Jersey Devils at the draft last year, but has actually played just 14 games for the team this season. That’s because of a combination of injuries and the Golden Knights having too many defensemen on the roster, but when he has been in the lineup he’s done quite well. The former Michigan Wolverine has just two points on the season, but is a positive possession player and can be relied upon in his own end. The Golden Knights still have too many defensemen in the organization, but going forward they’re going to need relatively cheap options to fill in the gaps. If Nate Schmidt gets a big extension, or Shea Theodore wants a long-term deal, relatively small commitments like the $2.75MM given to Merrill will help maintain long-term success. 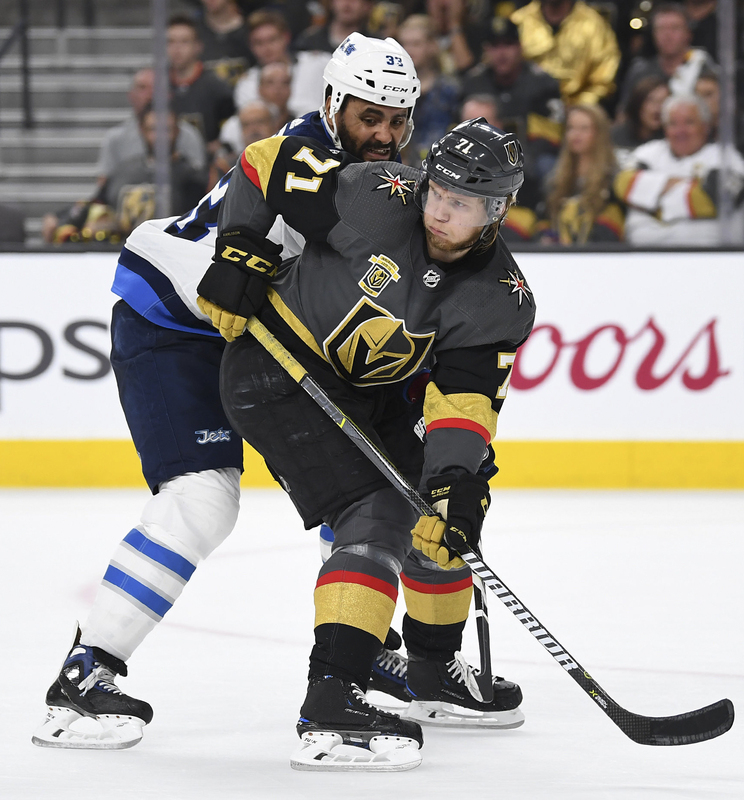 In each of their extensions so far, the Golden Knights have made sure to not go overboard rewarding this season’s production. 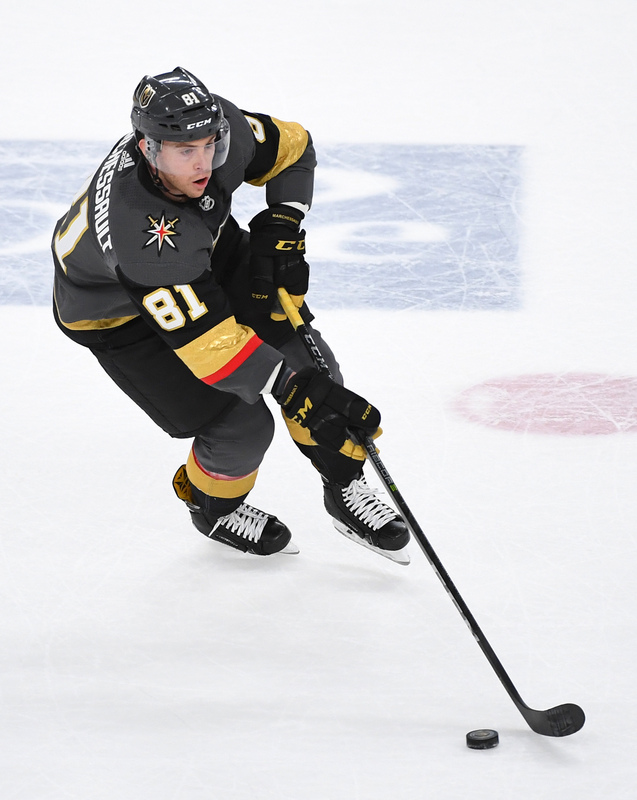 Even Marchessault, who received a $30MM deal, will look like a bargain if he continues to put up 30-goal seasons. Even with these moves, the question still remains in Vegas on what will be done with James Neal, David Perron and Luca Sbisa. All three are unrestricted free agents in the summer, and could be used as trade bait closer to the deadline. If the Golden Knights feel like they could replace their production internally without jeopardizing a playoff run, there is still a chance they could sell some assets this season. Otherwise, we may have to get used to these extensions being handed out. Frank Seravalli of TSN was first to report the deal was done. To some observers, the Vegas Golden Knights have some problems. The team has 13 defensemen on their roster, 11 with NHL experience. Yet, general manager George McPhee is not worried about the glut of defenders on his roster. While the coaches get a say, it will be McPhee who will make the final decision on who plays. The Las Vegas Review-Journal’s David Schoen writes that the team will likely keep eight defenders on their 23-man roster, so that should give defenseman a bit of comfort room. He also writes that it looks like nine players will compete for those eight spots. Three veterans will undoubtedly make the roster in Jason Garrison, Deryk Engelland and Luca Sbisa. 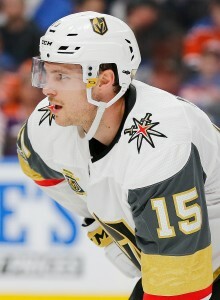 Expect Brayden McNabb, the physical defender from the Los Angeles Kings to get a spot on the defensive roster as well as Nate Schmidt, who just signed a new two-year deal for $4.45MM. That’s five. Colin Miller, who led the Boston Bruins in Corsi For and Goals For percentage last season, should also be in the top six. That leaves a still a number of defensemen who will be fighting for those last two spots. That quote might suggest that former Anaheim Ducks’ Shea Theodore, who the team picked up in an expansion deal, might be forced to start the season for the AHL Chicago Wolves as he still has waiver options remaining. Theodore, who had a major impact for the Ducks’ defense in the playoffs last year is still just 22 years old and only has 53 games of NHL experience so far, not including the playoffs. He put up just nine points in 34 games last year, but put up eight points in 14 playoff games in an expanded role. Others who will have to fight for spot include Jon Merrill, Clayton Stoner, Griffin Reinhart and Brad Hunt. Schoen speculates that Merrill is likely to stay with the team, which could leave Stoner out. The team picked up Stoner with Theodore in part of an expansion trade deal. The Anaheim Ducks wanted to rid themselves of Stoner’s $3.25MM contract, but the 32-year-old injury plagued defender has not played since early last season and played in just 14 games last year. Of course, none of this speculation makes any difference if the team can make a deal. The Golden Knights, who have already traded off several defensemen since the expansion draft, could be waiting for training camps to start. They may be hoping that an injury or a lack of depth could prompt a team to trade for one of their glut of defensemen. However, for now, McPhee continues to state that he is happy to have so much depth on their blueline. The New Jersey Devils team struggled on all aspects last season, so general manager Ray Shero concentrated the offseason on upgrading its offense and they did that successfully. They selected Nico Hischier with the first-overall pick in this year’s draft and expect him immediately contribute as a center. They traded with the capped-out Washington Capitals to acquire 26-year-old winger Marcus Johansson for a couple of draft picks. They even signed veteran Brian Boyle to add a little scoring punch on the back lines. And with some of their young players slowly emerging, the Devils offense looks to be heading in the right direction. Not so much on defense. Their defense, which struggled on giving up shots last year, hasn’t changed at all. The team still has Andy Greene, Ben Lovejoy, Damon Severson and John Moore as their top-four defenders — the same guys who tied for sixth in most goals allowed (2.94) and finished 10th in shots allowed (31.4). With no changes on defense, don’t be shocked if those numbers don’t improve too much. To make matters worse, there is expected to be little improvement among these regulars as most of them are getting old. Greene is turning 34 and starting to slow down. Lovejoy, 33, struggled last year and was demoted off the top line. Moore had a career-high 12 goals, but struggles on defense. Only the 22-year-old Severson has future promise. However, what options remain? According to CBS New York’s Steve Lichtenstein, Shero is “keenly aware” that the team needs to upgrade their blueline. With all their promising youth and development on offense, the team seems to have few defensive prospects at all. Despite the team’s $19.4MM in available cap space, via CapFriendly, there isn’t much available on the free agent market. The team failed to bring over Kevin Shattenkirk at the onset of free agency. Their attempt failed as he instead inked a long-term deal with the rival Rangers. The best possibility remaining at this point would be Cody Franson, but according to Lichtenstein, he is not on Shero’s radar. Perhaps a trade can fix their defense. Vegas has too many defenders and one might be able to be had for cheap. One of them is former Devil Jonathon Merrill, who they lost to Vegas in the expansion draft, but how much of an improvement would he be if he was part of the problem in New Jersey last year. Hopefully, New Jersey has a plan.